This is a new section devoted to bringing you a weekly update about new and old content in the iTunes Store that you should defeniatlying try. Join us later in the week for the top 5 movies of the week in our movie news section! 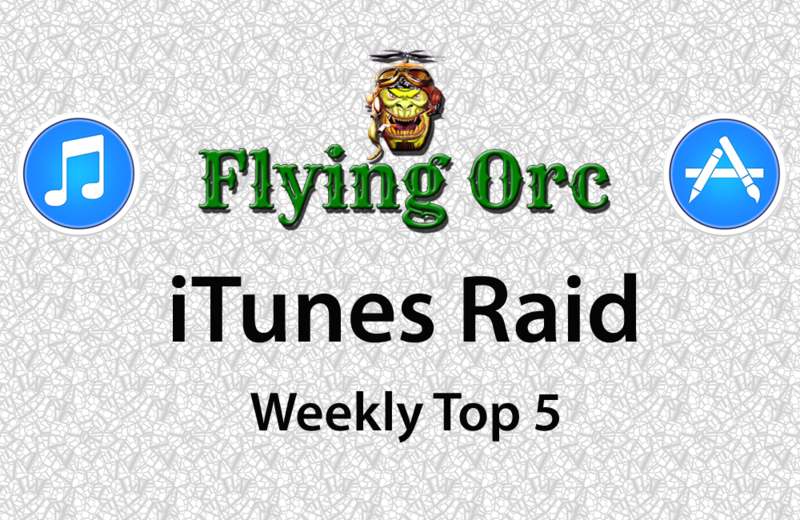 Below is our list of top 5 apps available in the iTunes app store this week. Some cost and some don't, but we will add the prices as of the time of this post alongside each app. 1. First up we have the newly launched Sons of Anarchy: The Prospect. Developed by Orpheus Interactive, this game offers a new look on a familiar story. This is an episode story based on the hit show Sons of Anarchy, which recently just came to an end. This game is a story about the Oregon chapter of the SOA motorcycle club. Currently you can pick up a season pass for all 10 episodes in the in-game menu at a 20% discount. It currently costs €14.99. The app itself costs €1.99. You can pick up the app by clicking here. 2. The second app we have this week is the Free App of the Week. ProCam XL 2 allows you to control almost every element of your devices camera as you use it. For the photographer on the go, this is a must-have. The app allows you to edit on the go, and it gives you so many options that I couldn't possibly begin to list in a single paragraph. If you're in to photography, you should absolutely check it out. You can pick it up by clicking here. It is free this week. 3. Next up is Disney Infinity: Toy Box 2.0. This app caught my eye due to the Avengers appearing on the image, so I tried it out. It is actually quite fun. There is an immediate sense of cost since you only get characters to try on a limited basis, and the rest cost 2.99 each, but the overall gameplay experience is actually quite fun. You can customise and design your own "Toy Box" and play a huge collection of story and mini games. You can pick it up by clicking here. It is free. 4. Fourth on the list in Procreate. I picked this app up just before New Years (2014) and I have barely put it down. I have tried out many apps that give you the ability to draw and sketch, but none like this. I picked up my stylus and had the user experience I have been dreaming of. It has an amazing amount of tools, and it also has a much appreciated Palm Support, which means I can lean on the screen without creating unwanted lines. The app itself is perfect. It costs €4.99, but it's well worth picking up. You can pick it up by clicking here. 5. 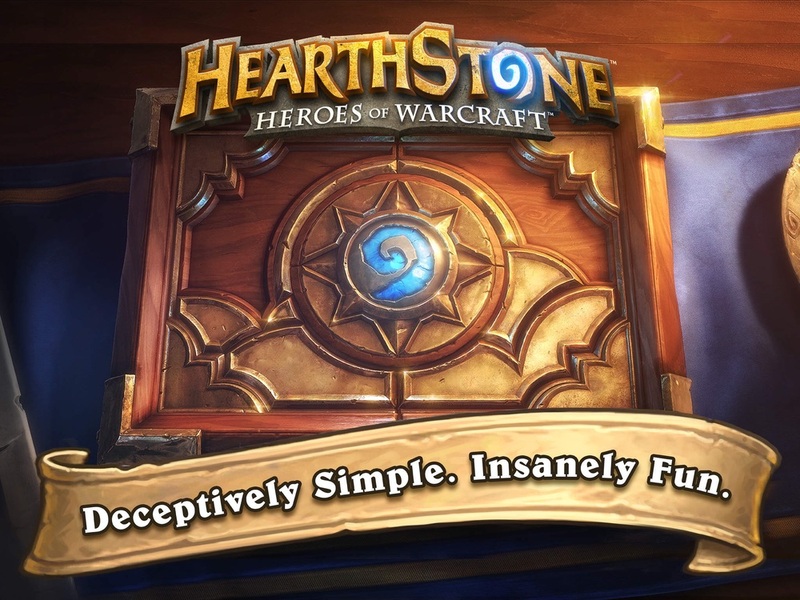 Last, but not least, for our final app this week is Hearthstone. I have been playing this for months on my laptop, but recently moved over to iPad and I have never looked back. The card game set in the World of Warcraft Universe has captivated me for months. Now that they recently added way more cards, it seems like the perfect time to pick it up and start playing. As the subtitle n the image says: "Deceptively Simple. Insanely Fun", but it leaves out Highly Addictive. You can pick it up by clicking here. Thats it for week 1. If you have any app suggestions, or feel like I missed anything, please feel free to let me know in the comments below.